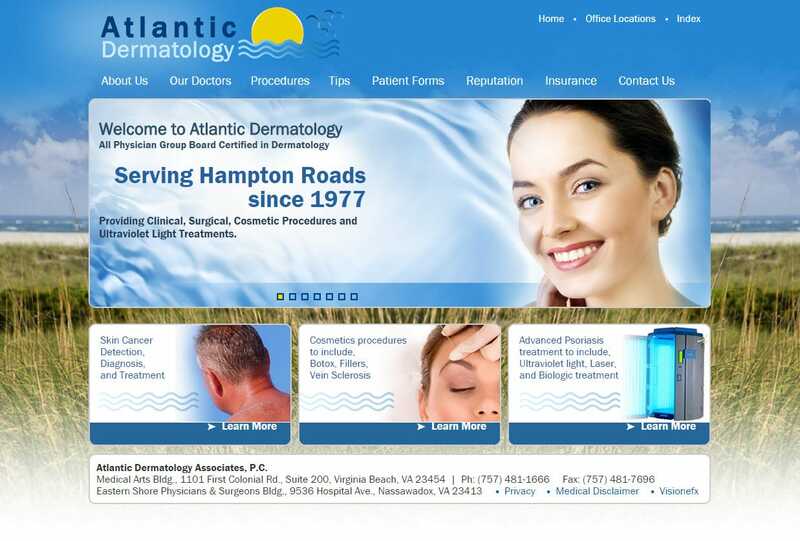 Website design for dermatology practice | This is a branded custom website design for a medical dermatology practice located in Virginia Beach, VA. The website features provider profiles, medical information for patients and a location directions finder for directions to the medical practice. VISIONEFX provides the finest in website design for medical businesses, website design for doctor offices, and website design for healthcare providers. When searching ‘Web site design Virginia Beach VA’ find the web design experts at VISIONEFX.